As I approach my 69th birthday in June, I frequently find myself reflecting upon my long and healthy life. Self-improvement has always been a priority and so, having consciously grown myself up, I have earned an emotional freedom in my older years and that feels pretty darn good. I’m currently enjoying a life that includes a husband and grown children that I can count on as good friends and several lovely grandchildren and great-grandchildren. I have participated in my generations professional challenges at a worldly level and played my part in the ever changing scenes of our Now. I am satisfied with my lot. My health is generally good, aside from an occasional bout of vertigo which keeps me homebound, and an aging and increasingly fragile body that I must keep adjusting to, I am happy. The vertigo is benign and brought on by having my head down looking at things on the ground and on a table or any other surface where I have to look down a lot. Consequently, I have had to give up weeding and a few of the gardening tasks that I normally do. The good news is that now I have a young man to help in my yard. At this time, I choose to live a quiet life with few distractions. However, my life isn’t dull. For example, one day my husband, Lewis, excitedly called for me to come outside and see something spectacular. Once outside, I saw a large and very bright rainbow arching above the nearby open field by our home. It arched so high, that a small cloud hovered over the top of the rainbow. It was stunning. I live a symbolic life and so I checked my feelings to see if there was a symbolic correlation between my feeling and the physical rainbow. Sure enough, the rainbow matched feelings of being blessed to have this quiet time of peace and wonder. With this magical event, the 10 of cups Tarot card came to mind. 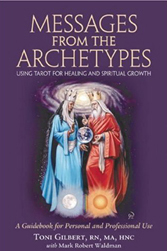 My books “Messages from the Archetypes”, “Gaining Archetypal Vision” continue to sell well and I use them as texts for my Archetypal Tarot Counseling™ courses as I still accept a few students. 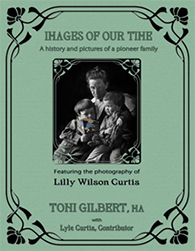 My newest book, “Images of Our Time” is about my pioneering family and features 100 year old photos taken by my professional photographer grandmother. They can be purchased at www.tonigilbert.com. I’ve slowed my conference participation down and now attend two a year. The first one will be the Rasani Fair. This holistic fair was created by Vicki Pruitt, to increase community awareness of alternative healthcare practitioners. Stop by my booth, October 15th & 16th , 2016 in Albany, Oregon. 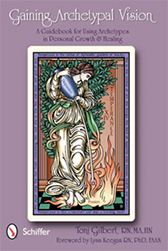 Also, I will also share a booth with Christine Payne Towler at the Northwest Tarot Symposium March 3rd through the 5th in 2017 at Portland, Oregon. 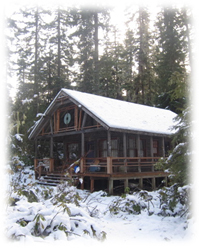 Lastly, my husband and I have decided to sell our Breitenbush cabin. After fifteen years of loving and working our magic on our little cabin in the woods, it is time for us to let it go to others who will love and enjoy it as much. We will miss it but we also need to make some changes in the amount of physical responsibilities we have. Time passes and things change.